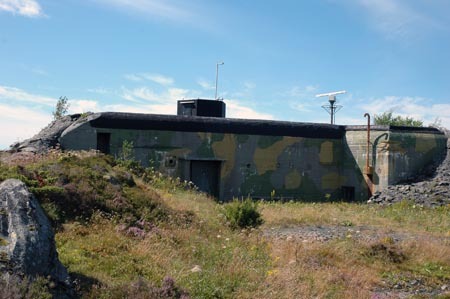 The big Leitstand was re-used after the war by the Norwegians. The armoured tip is still there but covered. The bunker is surrounded by a fence.